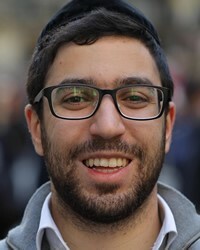 Because of the uniqueness of their history and culture, Jewish people have a strong sense of identity. The Australian Jewish community is the largest in the Pacific region. 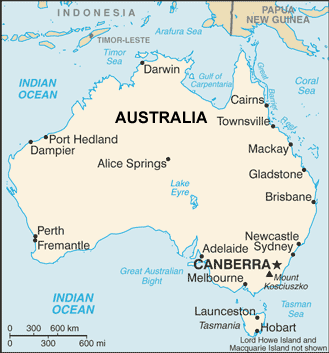 In Australia's earliest days as a British territory, colonies were developed through the use of convict-laborers. Jews were among the first convicts deported from the United Kingdom to Australia in the 1700s. By the 1800s, there was an established Jewish community overwhelmingly made up of free settlers. Jews arrived in several successive waves of immigration, primarily from Britain and Eastern Europe. The gold rushes of the 1800s were one source of attraction for Jewish immigrants to Australia. Both prior to and after World War II, thousands of Jews from Germany and Eastern Europe found sanctuary in Australia. The nation admitted tens of thousands of Holocaust survivors. Today, Australia has the highest percentage of Holocaust survivors of any Jewish community in the world. These immigrants have set the tone for contemporary Jewish communal life. Over half of Australia's Jewish population lives in Melbourne. Because the Jewish community is extremely diverse, many Jews are bilingual. English, Yiddish, German, Polish, Ivrit (modern Hebrew), and Hungarian are important languages. Occupationally, Australia's Jews are concentrated heavily in the clothing and manufacturing sectors of the economy. Most are either self-employed or are employers running their own businesses. Medicine, law, and engineering are also important occupations. A number of phenomena characterize the Australian Jewish community and distinguish it from most other English-speaking Jewish communities. These include a high rate of enrollment in Jewish day schools (Most of all primary school pupils and over half of all high school pupils) and a low rate of intermarriage with non-Jews. Melbourne has the largest Jewish day school in the world. There are several Jewish newspapers and periodicals available. Each week Australia's ethnic radio stations feature several hours of programming of Jewish interest in English, Hebrew, and Yiddish. In the major cities, there are butchers, bakers, and restaurants that prepare kosher (traditional, acceptable) foods. The Australian Jewish community maintains several Jewish museums, including two devoted to the commemoration of the Holocaust. Melbourne has a Jewish (often Yiddish) theater. Thousands of people of all ages participate in Maccabi athletic events which culminate in a major carnival each year. Several important issues face the Jewish community in Australia. One is the tension between the Orthodox and non-Orthodox sections of the community. This tension, at times, develops into open hostility. The status of religious divorce laws is also a source of conflict within the community. Jewish women can currently be denied religious divorce by their husbands, effectively isolating them from the community if they remarry. Anti-Semitism (discrimination against Jews) is not a serious problem in Australia's multi-cultural society, but the government closely monitors various hate-groups. For religious Jews, God is the Supreme Being, the Creator of the universe, and the ultimate Judge of human affairs. Beyond this, the religious beliefs of the Jewish communities vary greatly. Orthodox Jews generally follow the traditional religious beliefs and practices found in the Jewish literature that interprets Scripture regarding ethical, religious, civil, and criminal matters. Reform Jews do not believe that the Jewish Law is divinely revealed. They are not restricted to kosher foods. They neither wear the skull cap (yarmulke) when praying nor use Hebrew in prayer. All religious Jews believe in the coming of a Messianic Age, but only the Orthodox Jews look for a personal Messiah. In Australia, there are dozens of synagogues affiliated with all major religious movements within Judaism, from Reform to ultra-Orthodox. Most of Australia's Jews are Orthodox and many are liberal, with a tendency for the liberal Jews to be from central European backgrounds. Few are non-religious. The Jews have a wonderful understanding of their connection with the Abrahamic covenant. However, they also have a history of rejecting Jesus Christ as Messiah, the one who has fulfilled that covenant. Pray that as the Gospel is shared, it will not be viewed as anti-Semitic, but rather as the fulfillment of what God promised humanity through Abraham centuries ago. * Ask the Lord of the harvest to send forth loving Christians to work among the Australian Jewish communities. * Ask the Holy Spirit to grant wisdom and favor to the missions agencies that are focusing on the Australian Jews. * Pray that strong local churches will be raised up among the Australian Jews.View Jew, English Speaking in all countries.